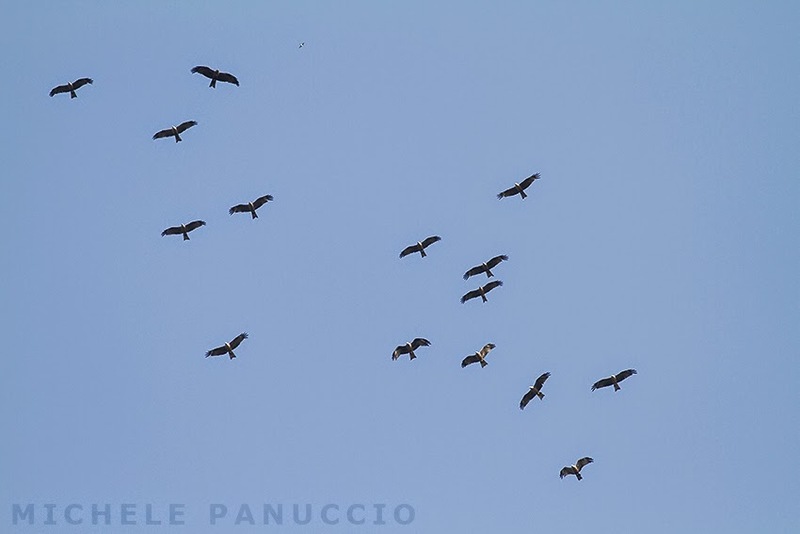 Today together with tens of Black Kites we recorded the passage of the first flocks of Honey Buzzards over our study area in the Aspromonte mountain. 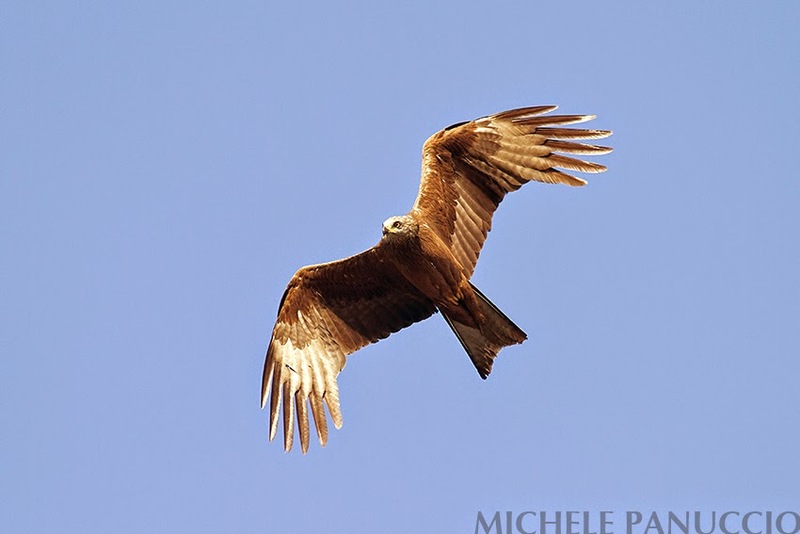 Yesterday occurred a peak in the passage of Black Kites in the Aspromonte mountain with several hundreds of individuals observed. 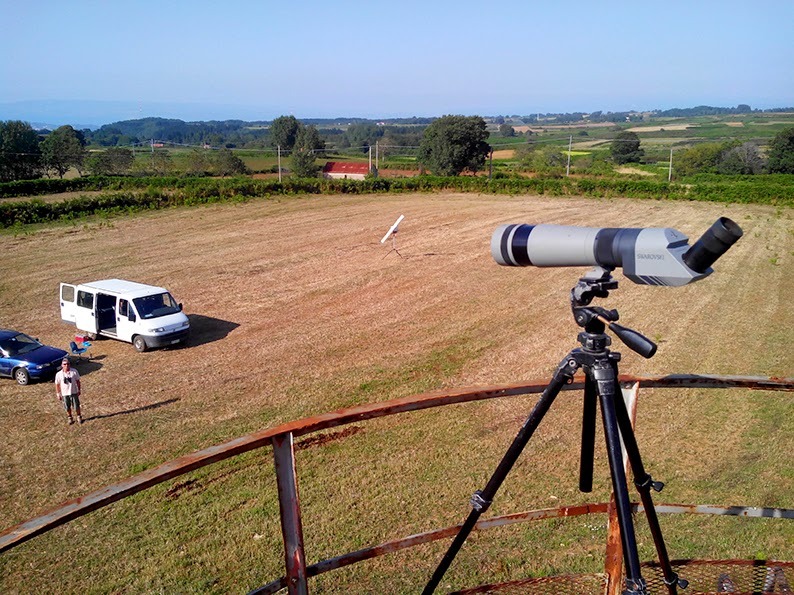 In the afternoon we tracked some flocks that appeared in the "Ornis Italica" radar screen. 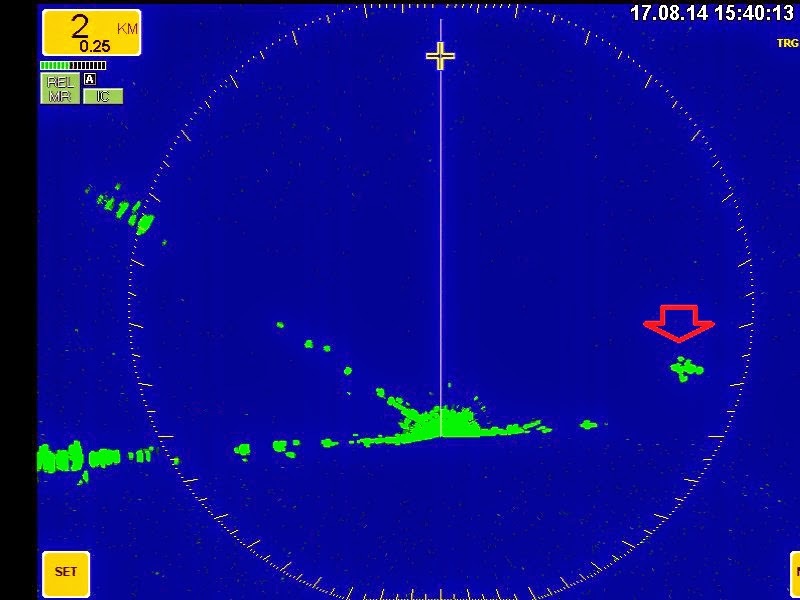 Here following a screenshot with a flock of 36 kites indicated by the red arrow. Few days ago we started the new fieldwork together with our friends of Ornis Italica. Today was the first intense day of migration and we tracked some tens of Black Kites. As the the daylight decreases then raptors become more likely to start their migration. 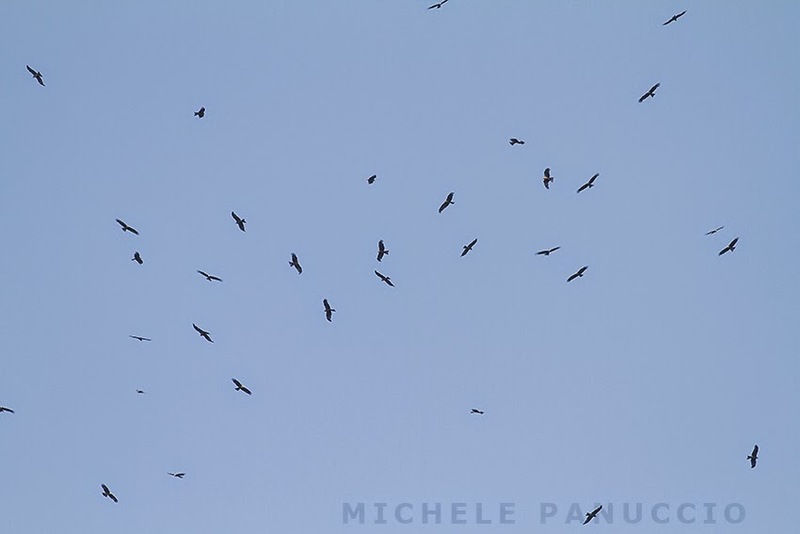 As usual, at the beginning of August the first Black Kites appear over the skies of southern Italy. This year we have catched the sight of the first one in the early morning flying over the beach. The kite was trying not to be blown off over the Ionian Sea from the strong western wind using flapping flight.